Visit Amsterdam in a motorhome! One of the best places to camp in the city is the "Amsterdam City Camp". one of the great things about this site is that you can get to the city center in 5 minutes, by crossing the river "IJ", on a free ferry! The site has Wi-Fi, 24-hour video surveillance and self-service for check-in and check-out. It is important, however, to know that you can not book in advance as the site maintains a first come first serve policy. There are several other campsites to stay at in Amsterdam, such as: Camping Vliegenbos, a campsite situated in a 25-hectare forest, not far from the center of Amsterdam, Waterland and the picturesque cities Marken, Edam and Volendam. Wi-Fi is free here too; and Camping Zeedburg, surrounded by nature and not far from the center that will give you a unique experience in the nature of the city itself. It has free Wi-Fi, complete with all the usual motorhome amenities (Electrical hookup, water supply, waste disposal, etc.). There is also a nice playground and petting zoo, bathrooms and and a laundry, as well as a supermarket. You can also buy a travel card for amsterdam on site, making trips to, and around the city easy. 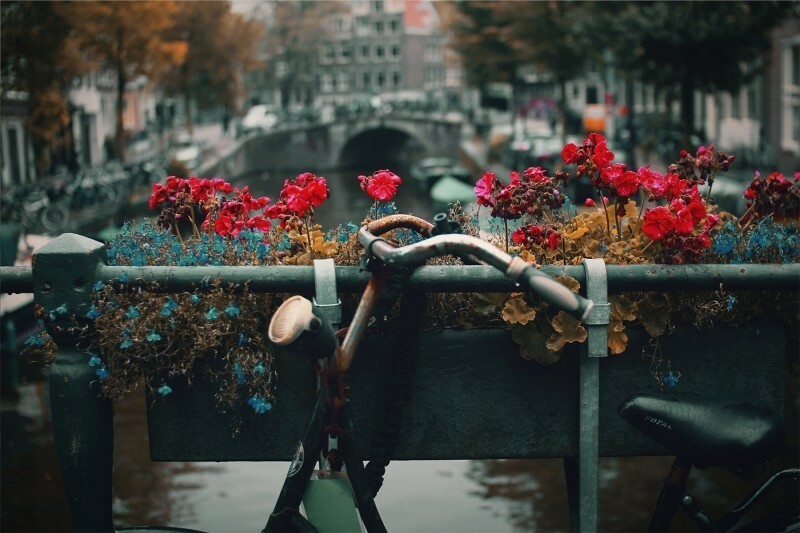 Anyone looking for a relaxing place to visit the Dutch capital is in the right place. In Amsterdam you can stop at "Amsterdam City Camp" which will allow you to reach the center in 5 minutes across the river "IJ", thanks to a free ferry! The site has Wi-Fi, 24-hour video surveillance and self-service for check-in and check-out. It is important, however, to know that you can not book in advance as the site maintains a first come first serve policy. You can also stop at other campsites in Amsterdam, such as: Camping Vliegenbos, a campsite situated in a 25-hectare forest, not far from the center of Amsterdam, Waterland and the picturesque cities Marken, Edam and Volendam. Wi-Fi is free here too; and Camping Zeedburg, surrounded by nature and not far from the center that will give you a unique experience in the nature of the city itself. It has free Wi-Fi, complete with all the usual motorhome amenities (Electrical hookup, water supply, waste disposal, etc.). There is also a nice playground and petting zoo, bathrooms and and a laundry, as well as a supermarket. You can also buy a travel card for amsterdam on site, making trips to, and around the city easy. Anyone looking for a relaxing place to visit the Dutch capital is in the right place. Amsterdam is a capital full of tourist attractions that attract people of all ages and interests. Visit Dam Square in the heart of the city, where one can admire the Royal Palace, (Koninklijk Paleis), the National Monument to the Fallen, in commemoration of the victims of the Second World War and Amsterdams own Madame Tussauds Museum. The canals, intersected by each other and flanked by the well-known and distinctive facades of the Dutch houses, are scattered with churches such as the Oude Kerk (old church), the Nieuwe Kerk (you guessed it - the New Church) and the Westerkerk (you’ve got it from here). The latter is the tallest monument in Amsterdam and is located near the Anne Frank Museum and Homomonument - a monument dedicated to all homosexuals that have experienced oppression. Among the alleys, one in particular will lead you to the Begijnhof, the "Courtyard of the Beguines", a place of peace where unmarried women dedicate their time to religion. 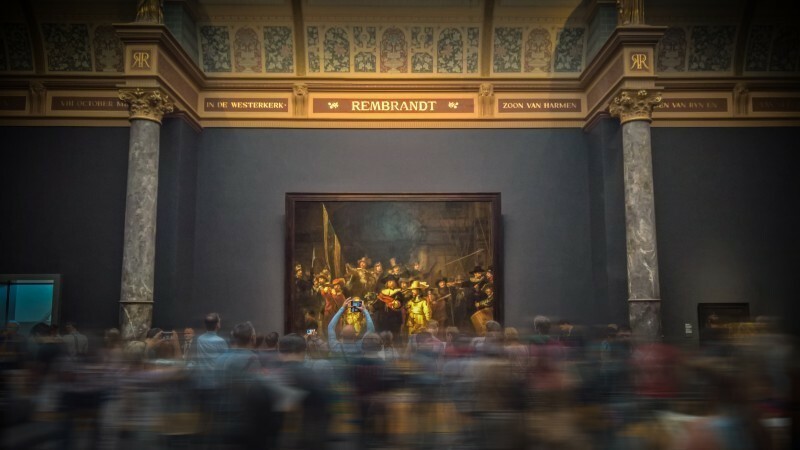 If we move towards Museumplein, art lovers will find much to satisfaction at the Rijksmuseum, Stedelijk Museum and at the Van Gogh Museum. In addition, until May 31, 2018 at the Moco Museum there is an exhibition on Banksy, one of the leading exponents of street art. Play and educational activities, however, await you at the NEMO Science Museum where, moreover, we can observe a replica of natural dimensions of the ship "Amsterdam" belonging to the East India Company anchored in front of the museum. Another destination not to be missed at any time of year is the Artis zoo. 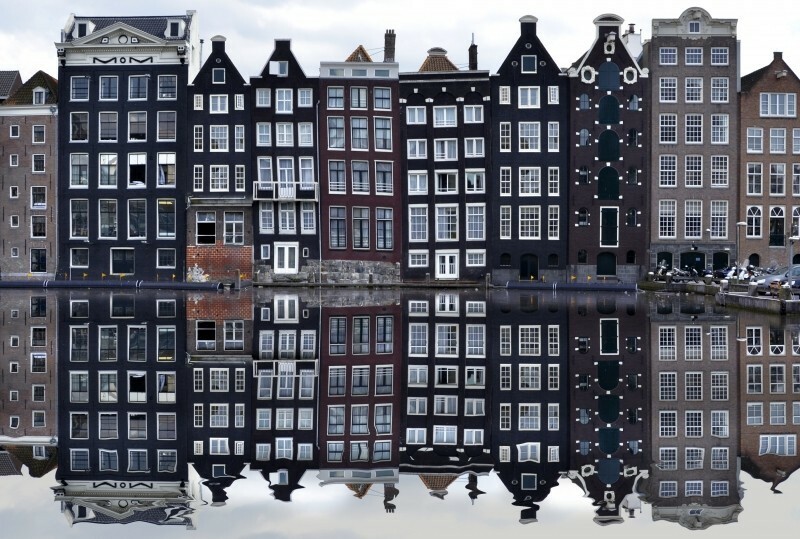 Another great wealth of tourist attractions can be found in the numerous local markets offered by Amsterdam. Albert Cuyp Markt is the most well known market in Amsterdam and offers a wide range of products: vegetables, bicycles, flowers, cheeses, shoes and accessories. Pure Markt is an agricultural market and changes place almost routinely and is held every Sunday from March till December. At the Market you can eat, drink and enjoy live music. Not to be missed are the flower market, books, flea markets such as IJ-Hallen, the largest in Europe, and the Sunday Market, where designers, artists and new talents from the Rietveld Academie and Design Academy present their works to the public. This place would be the ideal place to find something unique for your camper and to remind you of a memorable trip. Do you want to go to Amsterdam with the camper, but do not have a camper? Hire one through Goboony In the UK, or choose from our impressive selection in the Netherlands. Find the perfect one for you today!